Command an army of heroes to battle against titans, dragons and more in Endless Frontier Saga 2! Endless Frontier is the best in idle role playing games. Command your army of knights in a free and casual gaming experience, where you can advance and battle even when offline. Tap through the stages and build your units from over a hundred available characters. Endless battles put your strategy to the test, or you can sit back and watch your heroes fight through thousands of stages! Take the battle online with tactical PvP multiplayer games, collect hundreds of relics and ancient artifacts along the way and level up with no limitations in this thrilling free role playing game! - New concept of leave-alone games: offline hikes! - Continue hiking up the stages, even if you’re out of battery! Brilliant Combat of 12 Unique Units! 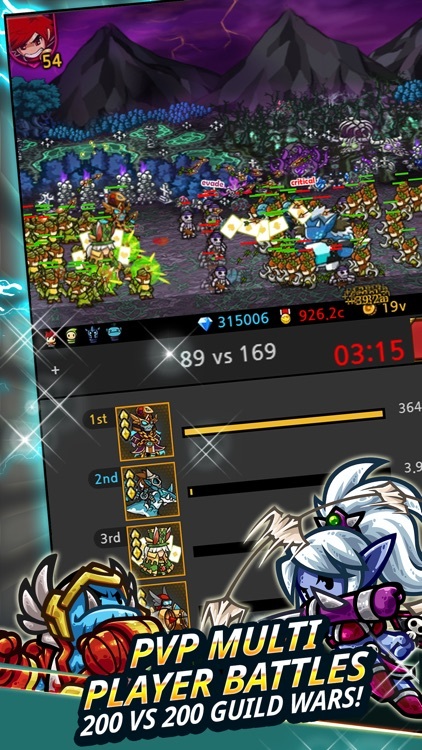 - Auto combat lets you sit back and enjoy the battle! 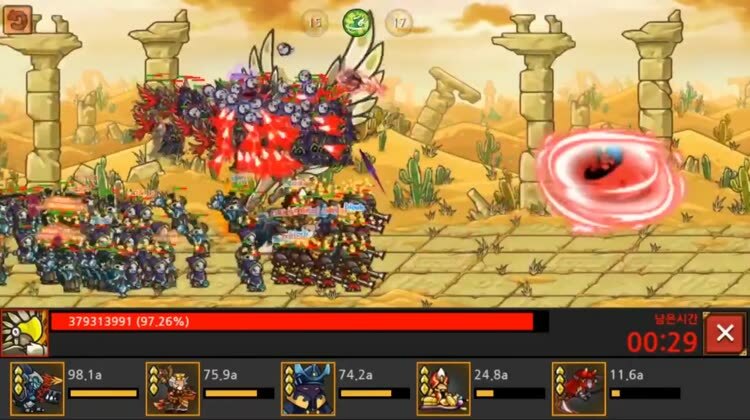 - See the amazing special skills of your units! - Experience the fun and extravagant combat that will make you focus on the game! - Easy quests that are fun to click on! - Earn gold and automatically level up your units! - Are the enemies too strong, making it difficult to pass the stage? 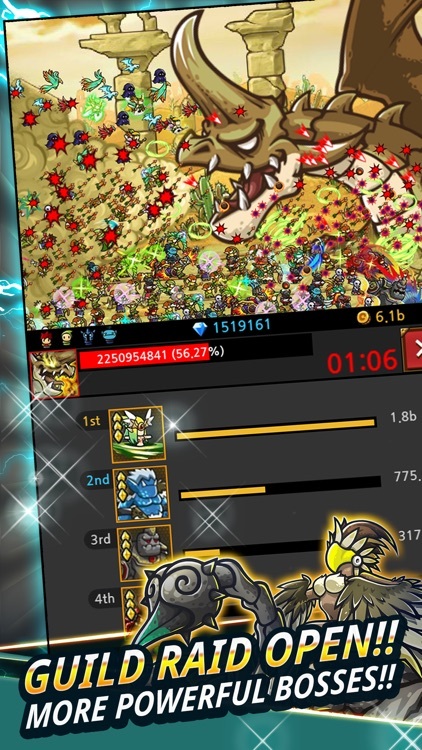 - Use [Revive] to earn or strengthen more powerful units! 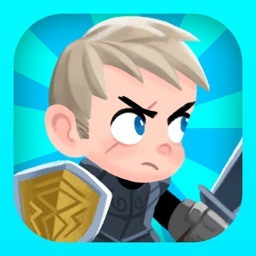 - Experience the magical fantasy battle background of 9,000 ceaseless stages! - Get your own unique and powerful units from Humans, Elves, Undead, and Orcs! - Level up! Enhance! Evolve! Transcend! 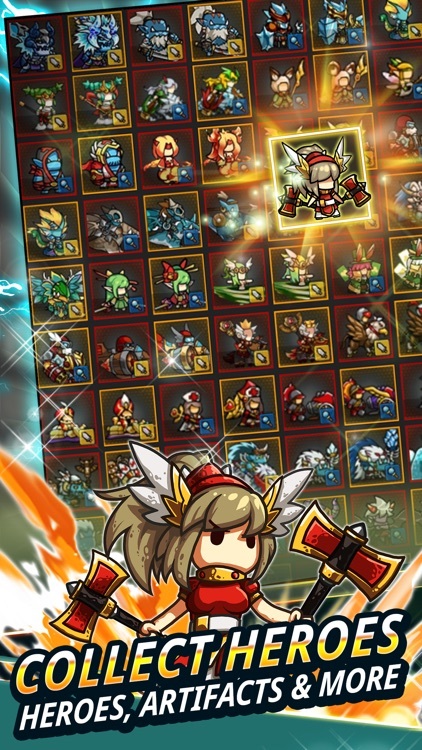 Unlock the necessary skills and abilities to strengthen your units however you want! - Participate in fierce four-day league battles in the Battle Arena! - The final winner of the league is recorded on the Hall of Honor! 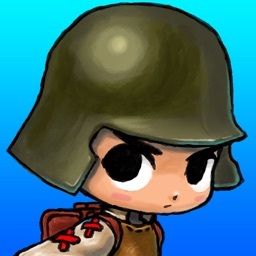 - Fight in daily ranking battles! - Race to the highest stage in a 24-hour period! - You can earn useful rewards based on your rank. - Massive 200 vs 200 group battle! 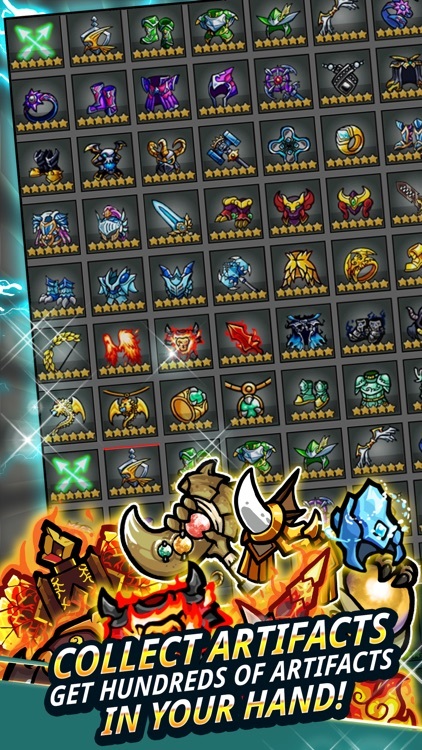 - Spectacular battle of heroes and their elite units representing each race! - Experience the huge scale and exciting guild battles! 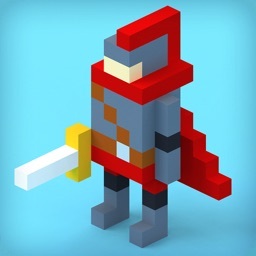 - Face a dominating force with unparalleled power that fills the screen! 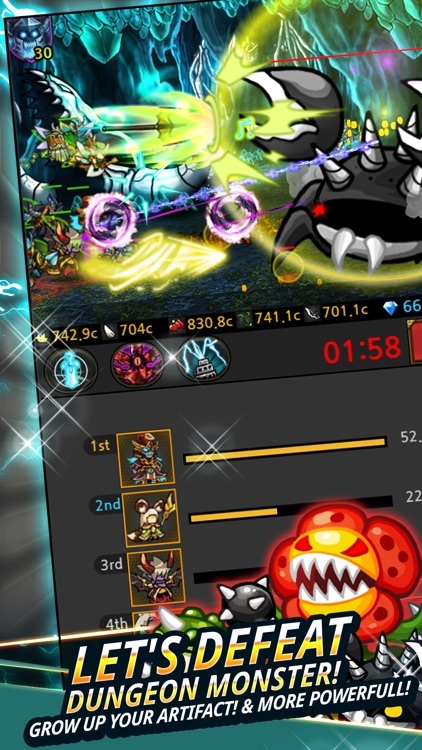 - Join forces with guild members to defeat the frightening world boss! 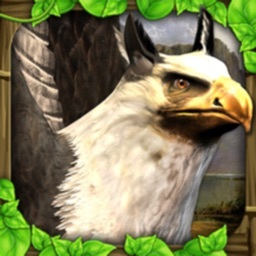 - Clear the Spirit Highland to get one of over 50 powerful but cute pets! - Train, evolve and awaken your pet! 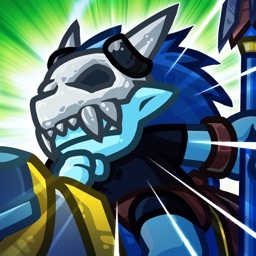 - Awaken your hero’s pet to get your ultimate skill! - Rise through the tower in the deck building game! 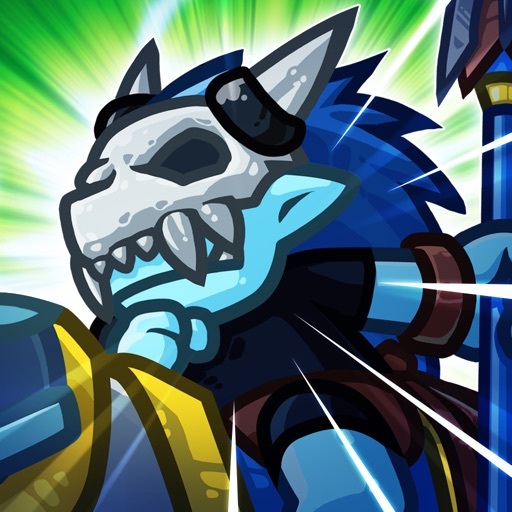 - Enjoy developing tactics by mixing up your units! 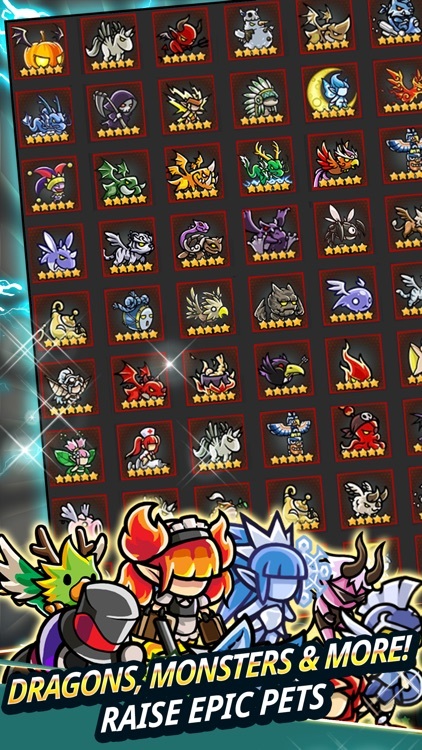 - Clear stages by utilizing the different strengths of races and units! 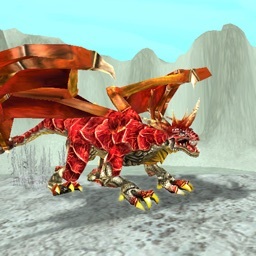 - Earn artifact materials by defeating dungeon bosses! - Different dungeons are opened on different days, so check back each day! - Slay over 20 unique and powerful dungeon monsters! - Use the artifact materials you earn in dungeons to get powerful and rare artifacts! - Unleash powerful set effects by obtaining different artifacts with the same name! - Users who don’t leave the game alone, but concentrate on the game can receive special gifts! - Click on the treasure chest that appears in stages to earn various resources! - Attack enemies with powerful magic spells! - The devil’s skills draw upon the power of lightning, rain and earth! 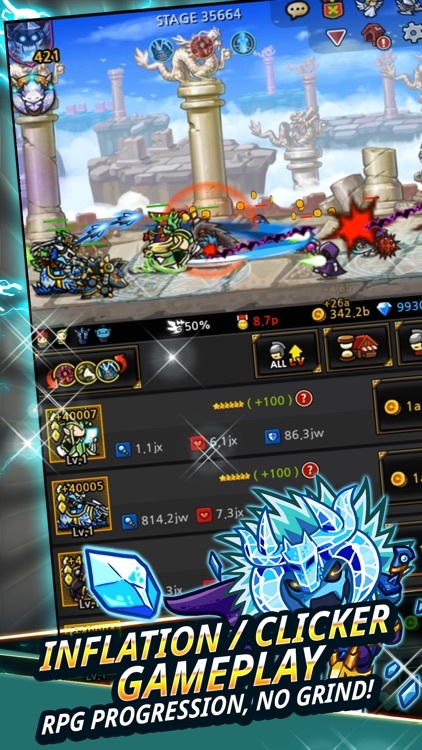 - Choose massive and powerful magic attacks that fill up the entire screen! 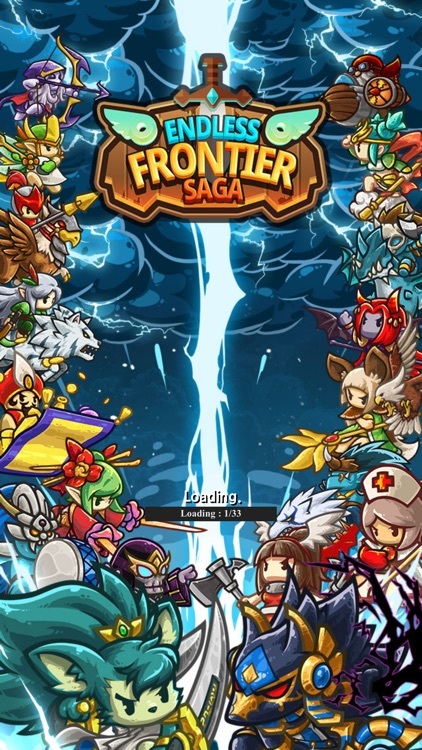 Enter the endless frontier and gather your heroes! Download now!